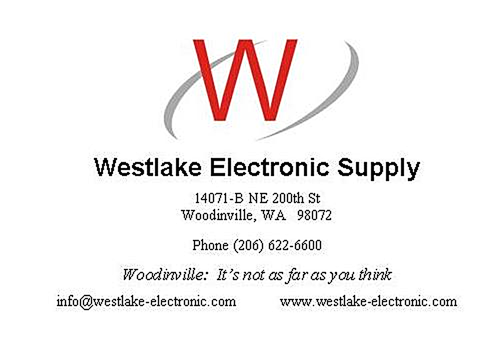 The January Chapter Luncheon featured doubleheader presentations by Stephen Lockwood talking about Modulation Dependent Carrier Level (MDCL) and Feliks Banel with a presentation on Seattle Radio History. The luncheon was held at the Old Spaghetti Factory in Tukwila. Stephen’s presentation showed how MDCL, a method of reducing power consumption in radio transmitters during periods of low audio activity or silence could substantially reduce power consumption for lower operating costs and energy conservation for remote transmitters operating on generators. 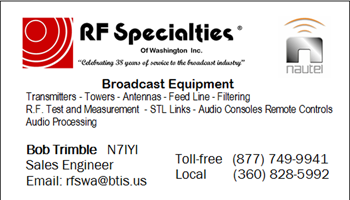 Stephen discussed MDCL operations by Puget Sound area broadcasters that have implemented the technology in their high powered AM operations. 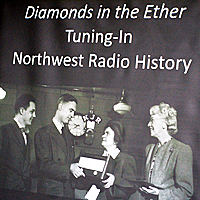 Feliks is a producer, host, and historian for KIRO Radio and showed pictures and talked about Northwest Radio History. Feliks’ presentation included pictures and story’s about Seattle area stations that were new to many of those attending.